Microsoft's Bing team in 2019 will strongly focus on automation to give marketers back time, audiences to better target campaigns, and attribution to more accurately measure budgets. All will rely on data and artificial intelligence to buy media, but some also will depend on responsiveness and feedback from advertisers. 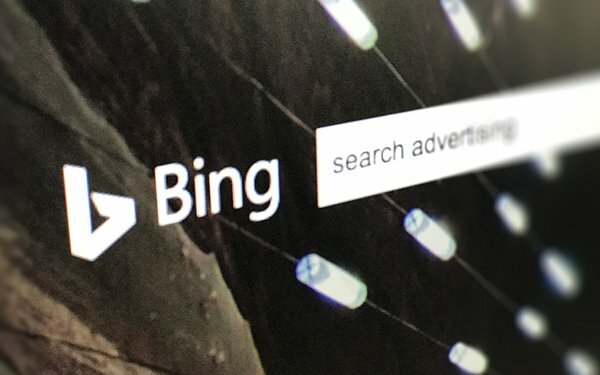 David Pann, GM of global head of advertising at Bing Ads, Microsoft, said during the Bing Ads Next event that the company will continue to build algorithms into Bing Ads that understand advertising objects and then make recommendations to carry out a successful campaign. “We’ve been customer obsessed,” Pann said, speaking about investments in technology and partnerships to support advertisers. Some advertisers and agency analysts remain skeptical around the reasons for change, like the updated partnership around Microsoft and Verizon Media. A little more than a year ago, Oath still talked about challenging Google and Facebook to be more than a distant third or fourth in the digital ad business, he explains in an email to Search Marketing Daily. “A lot has changed since, with Verizon getting a new CEO and Oath architect Tim Armstrong leaving the company,” he wrote. Other investments made in 2018 were around AI to integrate more data and using audiences rather than keywords. The audience network -- an extension of search that began to build traffic last year -- focuses on audiences rather than keywords. This network should take the place of display advertising based on the premises of search advertising. Related to AI, the competition tab, for example, shows the brand how they do in comparison to competitors. It also provides tips to do better. The performance targets let marketers set goals and provides insight into the probability of whether they will hit them. The Bing team also is working with AI to organize the news, so users of the search engine will continue to see a greater view of multiple perspectives in the news section. In 2019, it’s all about the data and how to use AI to offer more insights in advertising, but also in search results to eliminate bias. Several Microsoft committees focus just on possible bias and they continually review results. Teams also learn from a user’s interactions with search results, such as how many times they must query a specific topic to find the correct answer for them, from visual search for images and video to text. The days of search engines acting like an “echo chamber” based on the query are over. Features being added into Bing search include something the team calls multi-perspective, which shows multiple points of view, because not all people have the same opinion or perspective on a topic. The Bing team is working with AI to organize the news, so users of the search engine will continue to see a greater view of multiple perspectives in the news section.